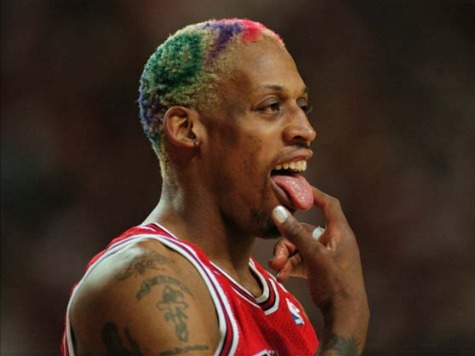 US basketball player Dennis Rodman hit the headlines recently after his drunk and disorderly behaviour while touring in North Korea. This country is known for being ultra-conservative so the staff at his hotel were a bit disturbed when he decided to vomit, defecate, and urinate in the corridors – it is certainly not something they see there every day. It is likely the other guests staying at the hotel felt a huge sense of relief when he finally passed out unconscious. Some reports suggest that the country’s dictator Kim Jong-Un was disgusted by the incident. When Dennis Rodman returned to the US, he decided to check into rehab in an attempt to re-evaluate his life. He insists that he is not an alcoholic that he has no plans to give up drinking. He remained in the programme for three weeks, agreeing to return in six months to determine if he needs more help. Is Dennis Rodman an Alcoholic? Only Dennis Rodman can decide if he is an alcoholic or not; others can speculate, but if he does not believe it himself, the word does not mean much. During an interview post-rehab, Dennis claimed that he could not be an alcoholic because he has never received a drunk-driving conviction, he does not get drunk every day, and he does not ‘usually’ hurt people when he is drunk. Hopefully the therapists in rehab will have explained to him that he does not need to do any of these things in order to be an alcoholic. It could easily be that Dennis Rodman is a high functioning alcoholic; in fact, the majority of alcoholics belong in this category. It means that he may be good at hiding his addiction problems most of the time. High functioning addicts do not usually drink every day, do not have problems with the law, and do not behave badly when they are drunk. This type of person can be extremely successful and usually viewed as a positive role model. One of the reasons why so many people are reluctant to accept the diagnosis of ‘alcoholic’ is that this word is associated with a specific negative stereotype. It is typically associated with those who appear to be drunk most of the time, wear dirty clothes, slur their words, drink hard spirits from a bottle in a paper bag, and are obviously down on their luck. The reality is that only a very small minority of alcoholics fit this category. It means that individuals who do need help use the fact that they do not fit the stereotype as proof that they do not really have a problem. High functioning alcoholics can actually be in far more danger because they are so good at hiding the extent of their problem. This means there will be less pressure on them to get help. The person in this situation also usually has more money to spend on alcohol, meaning there are no real limitations on the amount they drink. The usual way that alcoholics discover the seriousness of their situation is they cannot afford to drink so they start having withdrawals – this is far less likely to happen with a high functioning alcoholic. Will Dennis Rodman Regain Control Over His Drinking? If Dennis Rodman has already crossed the line into addiction, it is very unlikely that he would be able to regain control. This means that things are likely to keep getting worse for him until he is able to quit for good. He may be able to go weeks, months, and possibly years without any major incidents like what happened in North Korea, but if he is an alcoholic, it will be increasingly difficult to hide the problem.